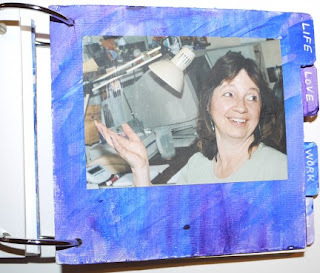 Julie was talking about sections in her art journal over here on our FB page. I came across this gal, Mary Macilvain, and saw her photo of a journal page with tabs. It looks simple to do. So, I thought I'd share the idea in case other's were looking to section off their journals.